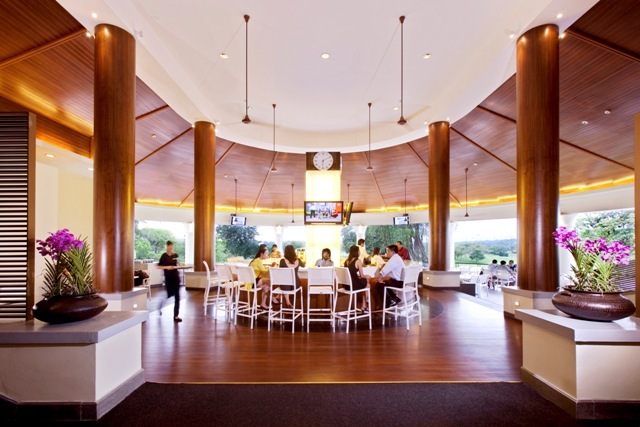 The Golfers’ Terrace is a uniquely inspired open dining area presenting the best of local cuisine in a contemporary setting. Indulge in an endless parade of local hawker favourities as well as Western cuisine. This outlet provides the ultimate Singaporean dining experience for guests who wish to savour local dishes in one seating. Celebrate local food and discover a uniquely Singaporean showcase of taste, sight and sound.